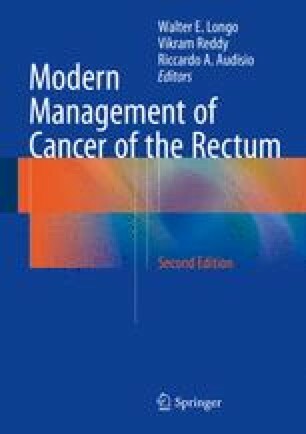 Accurate pre-operative imaging is a central part of treatment decision making in the modern management of rectal cancer. The increasing use of neoadjuvant chemoradiation necessitates the identification of specific prognostic factors such as tumour penetration, nodal status, extramural venous invasion and most importantly, the relationship of the tumour edge to the circumferential resection margin. MRI has been the most accurate modality in the local staging of rectal cancer both pre-operatively, and to measure treatment response. Recurrent cancer usually requires a more tailored approach and also needs detailed imaging of the extent of disease. A compartment based system has been shown to aid surgical planning leading to improved outcomes.